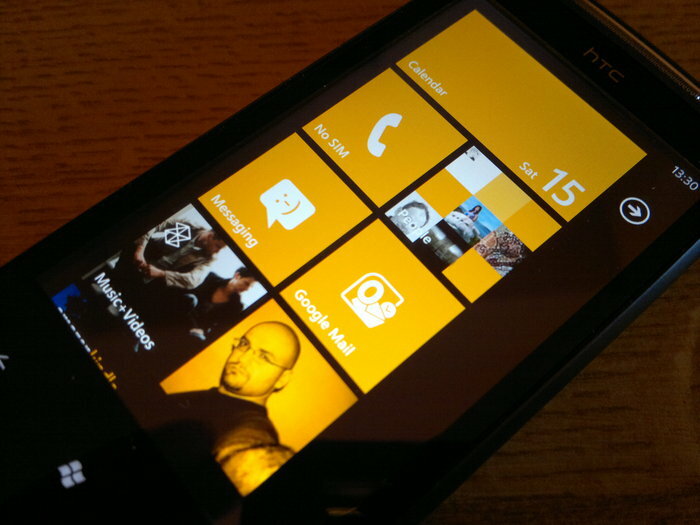 Stephen Elop said in the February 11th announcement that the transition to Windows Phone 7 would be an emotional one. He hit the nail on the head, not just for employees of Nokia, but for anyone who had any kind of investment in the Symbian world. Windows Phone 7 has had the power to delight me and infuriate me in equal measure. I have lived with five of these devices, and have transitioned from Ubuntu to Windows 7 to facilitate that process - Windows Phone 7 has had an impact on my life. Many in the technology press will point to the 50,000 marketplace titles, compared to ten times as many for iPhone, as a reason to not get a Windows Phone 7 device. However, this is something of a non-issue, as it's the number of useful applications that counts. Windows Phone 7 has most of the mainstream services covered in 'app' form - although there are still a few missing services like PayPal, Instagram, Google Plus, etc. Skype support is likely to be added into the next major firmware update of Windows Phone, however. Growth of Windows Phone Marketplace. Note: December 2011 is not complete. Figures up to December 27th. It's fair to say that my transition to Windows Phone 7 has been trickier than most because I am an Ubuntu user. Microsoft have not published any supporting software for my chosen operating system, unlike for Mac users. This problem of platform dependency could have been avoided if there had been a USB mass storage mode (as on Android, Blackberry and Symbian). I don't buy that it isn't possible because the data storage is one big database rather than a file system. At some level of abstraction, files have to exist. 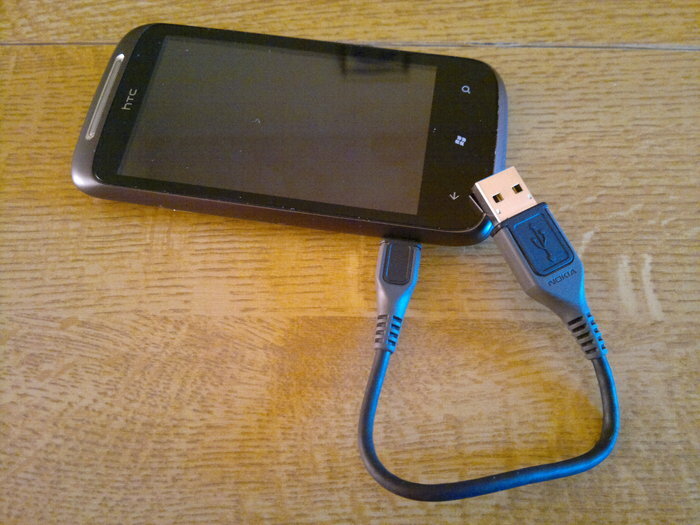 Therefore, an interface layer could have been written to serve files over the USB connection from the central database. Were I just a personal user, the lack of mass storage mode would have been a deal breaker - I'd never have even tried a Windows Phone. However, I'm a member of All About Windows Phone, so as the saying goes, I took one for the team! That isn't an exaggeration - returning to Windows after several years on the Linux based GNOME desktop, shows you that the perception of Windows being less complicated than Linux is an utter myth. Using the Zune Desktop application to organise content on a Windows Phone is a fairly good experience. Using it to organise podcasts and create automatically updated playlists are my favourite features. However, it is far less mature than Windows Media Player, and I wonder why Windows Phone 7 support wasn't built-in there instead, to avoid the redundancy of having two media suites. The main difference between the two media managers is the Zune Marketplace, which offers a much less pleasing experience. The Marketplace page loading time is painfully slow, and prices are quoted in Microsoft points, rather than real money - which is just plain confusing! Furthermore, the prices are no cheaper than buying physical media. 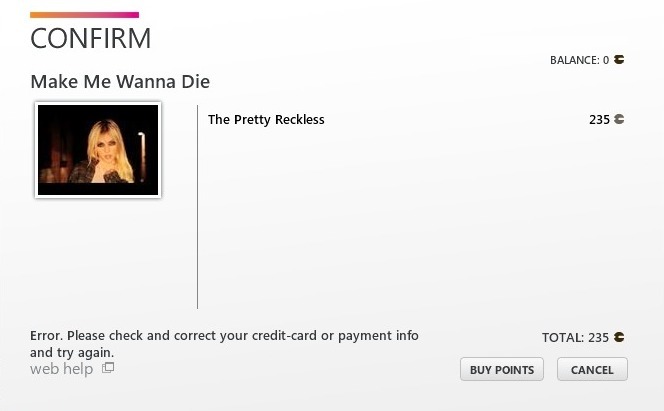 All in all, there's little incentive to buy content via Zune. 235 Microsoft points? How much change do I need? It's not all negative though, the everyday user experience of Windows Phone 7 is a breath of fresh air. Since the Mango update added more functionality to Live Tiles, like deep links into applications, the Windows Phone start screen is a genuinely unique experience. Thanks to the useful and lively user interface, I find myself always wanting to pick up and play with a Windows Phone device - in comparison, I've begun to find Android and Symbian lacklustre. I've previously complained about certain aspects of Metro UI. I still think some of the font sizes are too big. For instance, I can't see episode numbers in some podcast lists, and the "People" heading in the People Hub takes up way too much vertical space. Overall though, I love being able to tap and swipe my way through the user interface. Having Microsoft Office included is great - on the surface. I love being able to fire up OneNote to jot down something I've just thought of and know that it's instantly synchronised with my SkyDrive account. Similarly, I like being able to start writing articles in Word to finish up later on my laptop. The gotcha is that the web-based Office applications are quite poor. For example, the SkyDrive Word implementation doesn't have a word count feature, and loses connection to the server if left long enough, rendering it unable to save any changes. Those used to using Google Docs will be in for a shock when they realise there's no auto-save either. All in all, there's a lot of scope for losing work. Therefore, you're better off buying the desktop Office apps; that's if you have a spare couple of hundred pounds laying around, or you can find somewhere willing to sell you a student license (ahem!) And using desktop software somewhat defeats the object of cloud computing! 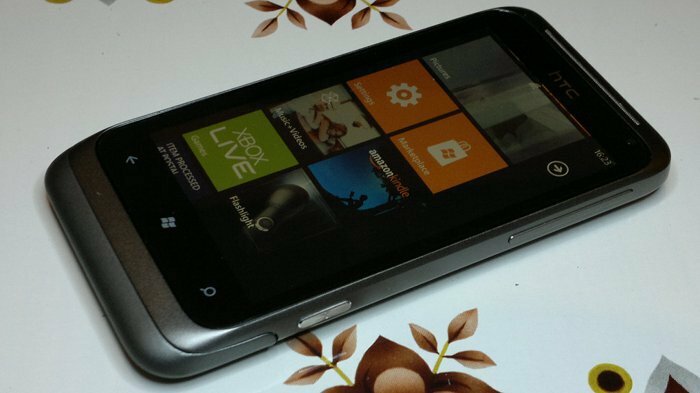 My latest Windows Phone 7 device is the Nokia Lumia 800, which is a quantum leap from the HTC devices I've used; of which, the closest in build quality has been the Radar, but I'd still choose the Lumia 800 because of the superior camera. 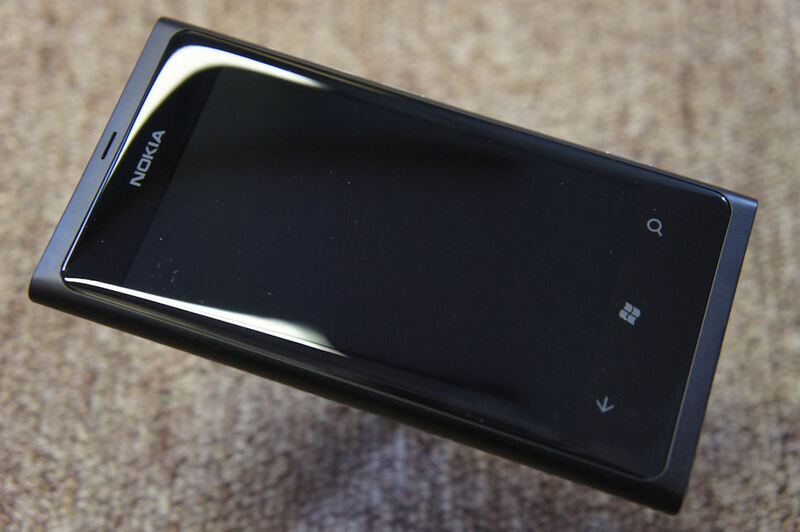 While I love the look and feel of the Lumia 800 - it has the best screen I've ever seen - its use of a MicroSIM has prevented me using it as my primary device. I have tried using MicroSIM adapters in my other phones and caused minor damage - so my primary SIM card is NOT getting cut down for the Lumia. This is a fringe case though, as most people buying the Lumia on contract will be supplied with a new or replacement MicroSIM. Multitasking is still something I'm trying to deal with on Windows Phone 7. So far, it seems that if you press the Windows button while in an application, its state is saved and you can return to it later via the task switcher. However, if you come out of an application via the Back button, its state is lost. Add to this that there are still many applications (e.g. countdown timers) that do not support Mango's background features. The average user won't appreciate this and just write off Windows Phone 7 as being poor at multitasking. The good thing about applications that run on Windows Phone 7 is that they (mostly) follow the Metro UI guidelines and thus all have a consistent look and navigation style to them. This makes the user experience feel far more cohesive than on other platforms. Note, the Nokia Belle style user interface is bringing this same cohesion to Symbian, albeit rather late in the day. I mentioned before that more and more applications are supporting Live Tiles that 'deep link' into themselves. This way of focussing the homescreen on specific items, people, or tasks - rather than being application-centric - is another refreshing change that Windows Phone 7 brings. 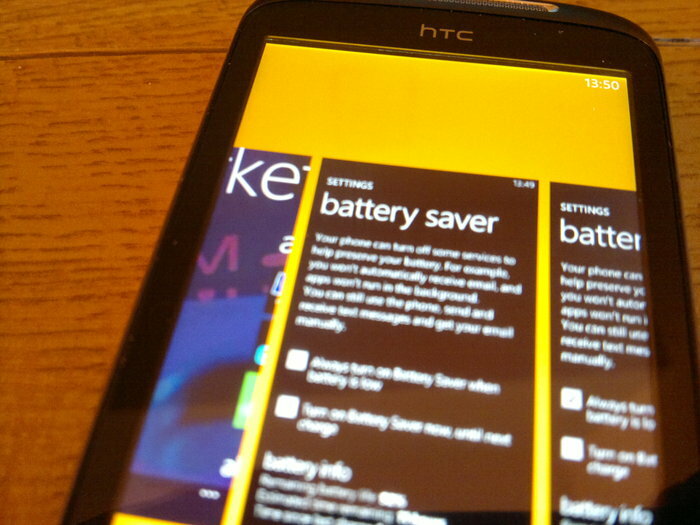 It's also another reason I am tending to pick up my Windows Phone rather than another device. It would be fair to class my position over the last few months as a Windows Phone 7 sceptic. As you can see from this article, the things that annoyed me and inconvenienced me still annoy and inconvenience me. However, I've started enjoying and appreciating the everyday use of Windows Phone 7 more - I've found it quite addictive to use. It's this dichotomy that gives me a certain level of tension about the platform. I REALLY enjoy using it, and will continue to use it - yet it still feels like I'm having to sacrifice too much.